Amidst changes to Salem College’s campus, the fall “Salem Sings” choral concert experienced a few changes of its own. “For the first time in 8 years, there will be no orchestra or instruments besides piano,” said Sonja Sepulveda, Director of Choral Activities and Associate Professor of Music Theory at Salem College. Dr. Sepulveda has been director of the Salem College choirs since 2010. The lack of an orchestra was the first of many changes for the November 9th concert. 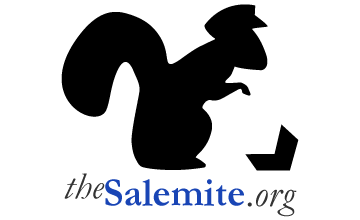 Previously, the Salem Sings concert series featured Dr. Sepulveda’s other choir, the Palmetto Voices, alongside the Winston Salem Youth Chorus, Salem College choirs and the college’s acapella group, the Supertonix. This year, the fall concert only featured the Youth Chorus, Chorale and Supertonix, and added the voices of the Salem Academy Glee Club, which Sepulveda now also directs. “They [Salem Academy] didn’t have a director…they thought I would be a good choice,” Sepulveda said, commenting on her new appointment this year. The lack of orchestra and change in guest choirs affected the types of pieces performed and notably, the length of the concert, which ended promptly at 9 p.m. after beginning at 7:30 p.m. Indeed, the audience was able to experience unique and moving pieces during the concert. Of the things that did not change with the concert series was the addition of a guest conductor. The fall 2018 concert featured Jeffrey Wall, Department Chair of Music and Director of Choral Activities at Northeastern University in Tahlequah, Oklahoma. “His [Wall] music is different from what I would’ve done,” Sepulveda said. The concert, split into two parts, began with the combined choirs in rows down the darkened aisles of the auditorium. There, keychain lights of green, red, white, and blue light illuminated the hall as the choirs sang their first anthem from “Ceremony of Carols”. The remainder of the concert featured both piano accompanied and unaccompanied anthems. Wall conducted the second half of the concert, which included the moving piece “Malala” based on the life of human rights activist, Malala Yousafzai. “The message was ‘nothing can stop me, if this is what I am meant to be,’” Sepulveda said. Additionally, Wall conducted music based on around the text of Native American poet Jo Harjo, and a reinterpretation of the 1918 tongue twister on Peter Piper, which earned chuckles from the audience. Despite the changes to the concert, Sepulveda still hopes the concert will grant the audience an engaging, enlightening experience.